What a crazy amazing fella. 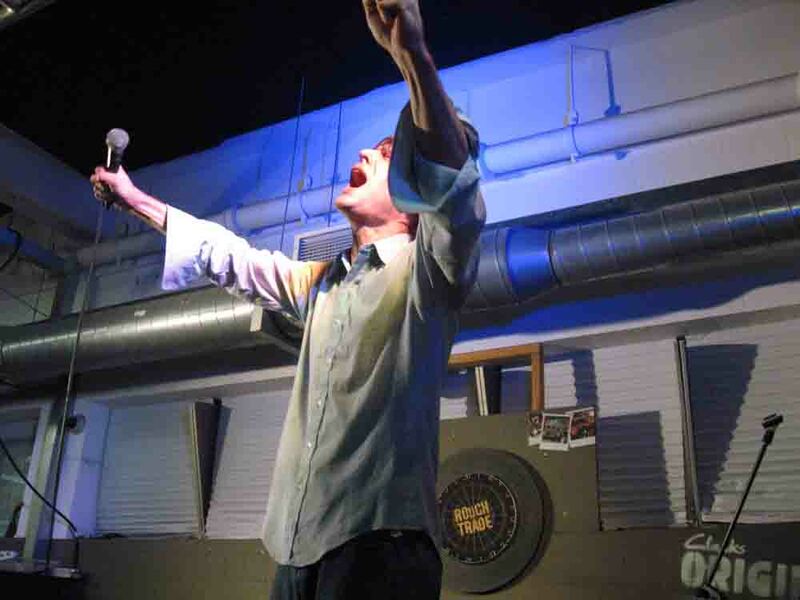 A John Maus performance is a bit like when someone is at that point when they've just become mad but they haven't yet turned into the hulk with subtle Ian Curtis undertones mixed with a club MC who keeps saying muffled incomprehensible words over the music. What more can I say, he's strangely compelling and completely mad.